Note that $11,420 of our gains are unrealized (NLY needs to come off as it's too far ahead to risk) so the question is – do we need to protect them? As our goal was to make $4,000 a month and we're already 3 months ahead of schedule with very little of our cash deployed. To some extent our gains become a hedge but that does not mean we should be cavalier about giving them back, does it? On the other hand, if we hedge we are essentially spending part of our gains on insurance and, although we did very well with last year's Income Portfolio – our biggest mistake was over-hedging – playing it a little TOO cautious. So, we will pay very close attention to the 5% lines on our Big Chart especially our 1,360 line on the S&P (see Blain's charts in Chart School) and we'll have no tolerance for a failure of our indices to hold that "constructively bullish" posture because we certainly did not get enough stimulus to give us much more than the quick little boost we've gotten so far and only rumors of more to come are really keeping things going at the moment. As with our $25,000 Portfolio – after getting so much ahead of our goals, it would be a relief to get back to cash and wait patiently for the next real buying opportunity. We have no technical reason to be bearish and there WAS a lot of stimulus pumped in over the last couple of weeks so we SHOULD be good at least until earnings kick off in a week – at which point 9,000 reporting companies will have a chance to poke fresh holes in the economic dyke. To some extent, we are probably having a bit of a short squeeze on G20 action but it's done nothing to shift the EXTREME bearishness we're seeing on the Sell Side Consensus Indicator, for example. Conventional wisdom dictates that, when bearishness gets this extreme – it's a good idea to bet against it and we have been but in Jan of 2009, people were right to be bearish as the Dow dropped 25% into March. I think it's a bit silly to look back another 10 years and try to compare the situation at that time. What this chart tells you is that analysts are idiots and sheep and you follow them at your peril – THAT is an important lesson to learn! As to the logic that "if everyone is bearish, we should be bullish" – that's nonsense. If my daughter's 10-year old football team is given the opportunity to square off against the NY Giants in a game the Giants need to win – I'm pretty sure even the proud parents of her football squad would have a hard time placing bets on the Panthers winning the game. Would the fact that we are all bearish on my daughter's chances mean you should bet on her team to win or might it be the accurate assessment of the situation? Don't get sucked into being a Contrarian "just because." As you can see from the picture on the right, we have a global economy that is about $60 TRILLION in debt and that is the entirety of our GDP but we can't use the entirety of our GDP to pay off the debt as we use it to live. Not only do we use it to live but we are, as I noted above, running another $3Tn a year (5%) more into debt and this does not, of course, include hundreds of Trillions of Dollars of unfunded liabilities like health care and pension benefits for aging populations and don't even think about $350 TRILLION worth of derivatives that are floating about or it might ruin your holiday. We've got BIG PROBLEMS and, so far – only small solutions. This entry was posted on Tuesday, July 3rd, 2012 at 8:28 am and is filed under Appears on main page, Uncategorized. You can leave a response, or trackback from your own site. Happy 4th. Enjoy the day and the 4th tomorrow with friends and family! I've been wanting to own Cisco for awhile now so going to sell some puts. "…If we don't address the problem (unemployment, inadequate tax collections) – we're never going to find a lasting solution, are we?" This the perceived and completely unanimous analysis of the essential disaster befalling nearly every first world country. The 2nd, 3rd, and 4th world economies have been 'dealing' with it for many decades, witness, not-so- Great Britain, with generations on the dole. Sub-Saharan Africa, and Haiti. It's called just muddling thru at subsistence or less levels. As we move thru time, the young particklerly, will increasingly demand from their government (which is theoretically, themselves) more and more doles. Read: Print us some money. It is not too far fetched that Employment as we knew it will devolve, as you have noted from time to time (what's wrong with only 30% of the people working) to other ways to prevent insanity which is the main reason work was invented in the first place. Over half the country's people have found something else to do besides work at a paying job so in one sense we have already sailed, many of us, on the ship of alternate living. My guess is the young will be even more creative in concocting ways and means to live their entire lives without ever having traditional work in manufacturing and services that we have known. Because unless the so-called leaders develop billions jobs that need doing, there is no alternative. Work will cease to be how people define themselves. Luxurious, middle class living, will cease with the paucity of growth and Malthus will once again reign supreme in his predictions that unlimited Growth is impossible. For those with young children, I don't think they want to face that. OXY – I always enjoy reading Ycharts daily analysis every morning (free email) and they had a nice article on OXY vs. CHK today. I'm not ready to jump in today, because I think oil could come down some more, though I will watch Phil for a good call on when to get back into oil. This may be one of my first priorities at that time. Good dividend, net profit margins and better balance sheet, trading 25% under historical multiples. Inflation sign? – Sugar prices are rising. If sugar breaks out, what is the play? I'm not interested in sugar futures, and most brands of sugar are probably owned by large conglomerate food groups. If this is the start of overall food inflation, then it could start hitting the restaurant business. Any ideas for companies to short? GLL/Phil – like any gold shorts with this bit of enthusiasm? Oil/ Oil back to R1 under just 24 hours. How cute! Pretty easy this morning with few positions open. I'll update Peter's portfolio for Thursday. PHil, is this an insane move in USO? Should I be taking USO Aug. 35 calls off the table or expect more over the holiday? Markets close at 1pm so completely meaningless day. As I noted above, we should be taking the money and running on NLY in the Income Portfolio and I honestly feel like cashing in the whole thing with those silly gains and calling it a quarter. Gold is up to $1,620 so SOMEONE is betting on big stimulus talk and oil is up to $87.50 on Iran noise (good call by ZZ yesterday) and simply no one want to be short oil into the holiday weekend but it will be a fun short Thursday into inventories so I'm rooting for oil to go nice and high – all the better to short it from! We were bullish on the Dow and the S&P futures this morning and that should be good for a pop with the S&P now over 1,360 (so that's the stop) and the Dow just moving past 12,800 (also the stop). A quick hit and run into the weekend is fine with us and CASH remains King. X is flying – as we expected on the pension BS. RIG is popping too so let's watch those as well in the Income Portfolio. NLY is being killed because it's up 50% in one month and it will take us 18 more months, at best case, to make the other 50% so – it's silly to keep it. Simple enough? ICSC Retail Store Sales: 0.2% W/W, vs. 2.0% last week.+1.4% Y/Y, vs. +2.7% last week. Severe storms has led to decline in chain-store sales with 1.4% being the the lowest rate since January last year. For protection, I still like the SQQQ play in the $25KP as they won't be immune from a big crash but it's also hard to see AAPL falling hard enough to let the Nas drop too far. The July $50s are just .90 and you can offset them with something from the TWIL list or the CHK Aug $18 puts are still $1.15 due to the price-fixing thing. Hey, guess what – WMT bribed people in Mexico and the stock is at an all-time high a month later. So I like selling those CHK puts to pay for protection and, if we don't have a big drop while we're on vacation – then we can roll the July $50s to an Aug spread. What I really like though, going into this holiday break, is CASH!!!! sugar/rev: FWIW, I had my arse handed to me trying to short DBA and MOS in 2010 the last time sugar took a giant leap thanks to the combined influence of QE, China, and shortages. Sugar/Revtodd – I think if your scenario of rising sugar prices hurts anyone, it would start someplace like SBUX – and maybe places like pastry shops or ice cream parlors. Maybe I'll just hold off on those CSCO puts. They let Ford get clobbered then release some news. Smells like another classic GS screw the retail investor maneuver. McClellan Oscillator now at highest point of the year on overbought. DON'T TRADE DURING A HOLIDAY SHORTENED WEEK! PCLN up $45 in two days+. WOW. When is the next FED statement expected? Rev — Sugar — there is a very thinly-traded ETF….SGG. But at least it has options. Also, I believe that CZZ is sugar-sensitive. Book – enjoyed a quick read last weekend: The Fear Index, by Robert Harris. I expect some others here might enjoy it as well. "With The Fear Index, Mr. Harris has turned his gimlet eye on the secret world of billion dollar hedge funds, namely those that seek to earn profits by computer driven program trading. The result is a wholly unique entertainment: a strange, compelling, and utterly propulsive novel. I’m not sure who would enjoy it more: George Soros, Arthur C. Clarke or Edgar Allen Poe…"
rev / sugar — KO? PEP? 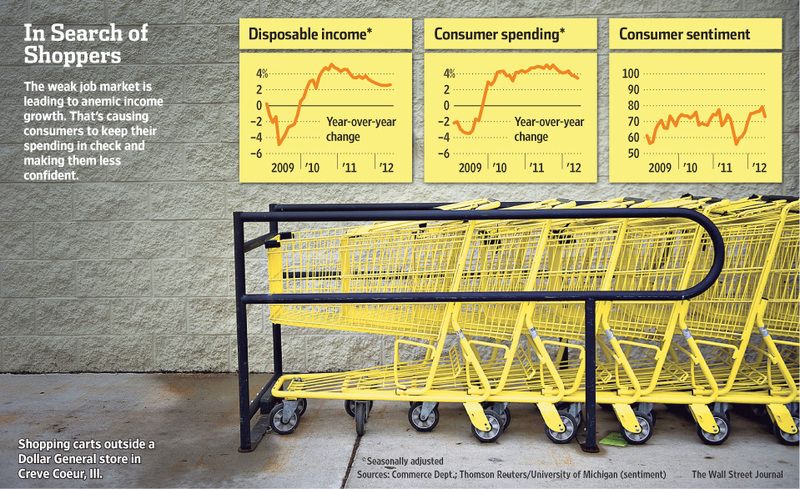 Food inflation – Thanks Rain and Stockbern – that's a nice list for further research! Phil / FAS Money – The short weekly call is pretty deep ITM. Just curious what your strategy is for timing of adjustments, if any. Are you going to roll the SQQQ spread before the holiday? Rev — SGG — it's more like BAL, for cotton. So thinly traded it's hard to trade…spreads are way too wide. rev / KO — I don't drink soft drinks so I may have gotten that one wrong after reading stockbern's comment. Do soft drinks have sugar in them anymore or is all corn syrup? Anyway, Krispy Kreme should be on the sugar list! The smell of that place makes me want to vomit when I drive by. V/Den – I'm very concerned about V and MA due to still-weak consumer data. Also, with gas prices plunging and low consumption last Q, they may report weak sales numbers. I'm not very clear on what you have – how about saying "I have 60 July $120 calls at $1.29, now .50 and I sold 50 July $125s for $3.29, now $1.50" or whatever it actually is and then I'm sure I can help you but the first helpful thing I'll say is – if you can't pay close attention to your positions – why on earth are you messing around with volatile short-term contracts? Part of being a good trader is learning what kind of trades fit your investing style and resources, which include your asset allocation AND your time allocation. You need to be realistic about what kind of positions you can properly monitor and perhaps not swing for the fences so hard. CSCO/Exec – Of course the $15s. First of all, you can sell 20% more for the same net entry so more like comparing $2.25 to $3.25 and then the question is – do you want to give up $3 of downside protection (20%) in exchange for $1? That's not a very good deal since you are only paying .33 per $1 of protection to lock in $2.25 worth of gains EVEN if CSCO drops 15%. See how easy it is when you think about it? I would, of course, just sell the 1x of the $15 puts and, if CSCO does drop 10-20% – I'd be REALLY happy I didn't sell the $18s and then I'd see about rolling or adjusting the $15s. Problems/Flips – I don't see any alternative but to print our way out of it. Hence my long-term bullish attitude, despite all my short-term concerns. OXY/Rev – They are a good value at $88 with a p/e around $10 but I'd wait until earnings (7/26) and hope they miss as it's been a rough Q for big oil and, if you are lucky, they could get cheaper. Well worth keeping an eye on. Wow, market strong so far, no reason to stop out DIA or S&P futures yet but I'd raise the stops to 12,830 and 1,363.50. Oil touched $88 and flew back to $87 and is struggling to hold it. Gold rejected at first try at $1,620. Dow volume pathetic at 20M for first hour. Sugar, sugar/Rev – One of my first records on the old Close N' Play! How about CAKE – they must have a big sugar bill? Gold/Scott – Not yet. Iraq is making noise and we might get another shot of stimulus. We formed a pretty good base around $1,550 and the top in Feb was $1,800 so $1,620 isn't really the short of the century just yet. I sure wouldn't go long on gold but there's no major reason to short them just now. Wheat/Wilsons – That's the one thing we've been VERY lucky about during this economic downturn – we didn't get whacked with any major food disruptions. We're certainly not in a very good position to deal with one. $25KPs – Let's take $2 and run on the OIH $35 calls in both portfolios. In the $25KPA, let's buy back the SQQQ $53 calls, now .35 and roll the $49 calls, now $1, to the $47 calls, now $1.40 for .40. In the $25KPM, let's just do the roll for .40 and leave the cover for now. Fantastic job on the MoMo Portfolio Lflan! Watch the Dollar here – testing 81.90 and may bounce back here with 30 mins to EU close but they are having a normal day tomorrow and are sticking the Euro over the $1.26 line at the moment. AAPL indeed! We shud have waited till today Ifla. GLL – Gold is up, VIX is low.. buying some cheap OTM calls (Oct 23) to play against the pop in gold. not heavy though as WHO KNOWS? CHTP – well, that solves that one. FDA does not see things moving forward without another trial. Dilutions will happen. The drug works, but the FDA is going conservative with them….holding the small amount of shares, and will consider DD later on. CELG and VAR calendars are acting very well. M&A Plays – anyone see any of these forming out there with good oppty to short the high valued and long the low valued parties? What's the lag time for that 'beat' on factory orders. With ISM being a disaster, I assume the lag is about 3 mos. Meaning….things are going to get fuggily soon. Rule number one: when it goes up 20% in a day, get out and be happy. Adding rules two and three – pay attention and don't swing for the fenses (i.e. greed kills). I have 250 July 120 puts at $1.29 now .50 and 50 July 125 puts at $3.30 now $1.25. I guess the juniors working on the street were told to drive this puppy up on very thin volume, then when the seniors come back, it will be time to yank the rug. Holding off/Exec – There's that too. If we're really going to have another epic stimulus rally, there will be lots of things to buy AFTER they make an actual announcement. Front-running stimulus rumors has been a very painful exercise this year. F/Exec – More like there was very obvious great news for Ford (Friday's amendment to the Transport bill) so they jammed it down to shake off the retail suckers before it became common knowledge so the Fund managers could load up on F at $9.50 and look like geniuses when the general public finally realizes what we've been talking about all weekend. So what else is new? At $9.69, F is still a good deal and you can sell 2014 $10 puts for $1.92 and buy the 2014 $10 calls for $1.40 and that's net $9.48 for a worst-case entry and no limit to your upside over $10 and, since you are covered – when we get a good pop in F you can sell $11 calls and pick up a monthly income as well. That's so good, let's do 30 of those in the Income Portfolio! A more aggressive play on F, on the assumption they shift their accounting and declare big profits off lower pension obligations, is the Aug $10s at .27 – lets add 20 of those in both $25KPs. Anyone able to roll SQQQ from 49 to 47 for .40? I see the midpoint at .50 and ask at 65. Mornin, gents. Thanks for the USO mention, Phil, 140% on my USO lottery ticket in 12 hours, and no hesitation in taking the money and running — you have trained us well. Sometimes it's teaching, but with this kind of stuff, where you get whipped like a dog if you let 250% profit melt away, it's definitely training. Happy FFourth!!! If you question my math, I consider getting back the price of a lottery ticket no less a profit than the gain. Romney/StJ – The more people know, the worse he looks. No on minds an elitist Governor but an elitist President is a tough sell – even to the Republican base. They can't make them love Romney so they have doubled down on trying to get people to hate Obama instead. PCLN/Jabob – I thought you were going to go with the bullish flow? Wow, almost an hour later and Dow up to 28M – so we've slowed down from 20M in the first hour to less than 10M in the second – this entire move up could be wiped out if a fund manager sneezes. DNKN/Rev – That's a good one. Don't they pretty much just sell balls of sugar held together with dough? Or, as Rain notes, KKD seems to use twice as much sugar as Dunkin' – so much so that it drips off the damned things when you hold them. KO/Rain – Those guys haven't used sugar since the 80s. Not in the US, anyway. Here we're all part of a science experiment to see if making sweeteners out of cattle feed makes us as fat as cattle. So far, so good! Good list Stock but you never do know with sugar prices – they do spike up and down a lot. FAS Money/Rkyro – Well, at the moment, it's the hedge to our longs and we'll buy 10 more longs first and then we'll roll the calls to 2x the Aug whatevers if we have to and sell more calls but we still have 17 days to expiration so hard to get worked up about it this early. SQQQ/DC – See adjustments above. That should be it although, if the Nas keeps going up from here (2,975) I may want to get more aggressive on a rejection at 3,000. Gold up, VIX low/Scott – That's a stimulus play. Not worried about the market going down but worried about Dollar devaluing. M&A/Scott – Activity has been pretty low this year. OK, 12,876 on the Dow (/YM) is up 100 ($500 per contract) and 1,369 on the S&P (/ES) is up 11 ($550) and that's just plenty so screw the stops and heading out to buy the good steaks early is my plan for that money! Hey Phil on that SQQQ roll the 1$ for the 49 calls was the ask price and the $1.40 on 47 calls was the bid price, I cannot sell at ask and buy at bid to roll for .40c. Am I missing something here? Gold – reentering the monetary system? Interesting development here: "The proposal is only at the stage where comments are invited, but it is unlikely that the banks will turn this proposal down, since it represents a secure lending opportunity and the opportunity to diversify a bank’s own assets without facing a risk-weighting penalty. The proposal when implemented is certain to encourage banks to buy gold, and the bullion banks in London will hedge uncovered unallocated customer liabilities.."
Phil/AMZN – any suggested play. Looks like it is at some resistance. I always like DBA for an inflation/ food hedge. This hot weather may not be good for crop yields. I should also remember the bullish tendencies for the first few trading days of the month sometime. I had AGQ July 40/45 BCS and I covered the caller when AGQ went down. Now the AGQ 40 C are about even. Do you suggest to move the calls out to August to something like AGQ 45 C (@1.60) so that I can take some money off the table and also take part if silver just pushes up? What is the best way to play this? Or should I just hold my 40C for a few days more? Phil / FAS Money – It was the weekly short call ( July 1 $87 ) that I was mainly referring to. I assume we wait until Thurs or Fri, especially with the Dow starting to fade now. Thanks, Randers, I had forgotten about DBA, use to trade it with some success. Weird weather this year, although sailors say the weather is never normal where you are, which pretty much illustrates the meaning of "normal" although we always seem to be surprised. Good man Jerconn! If you do that consistently, you'll find the good nights of sleep far outweigh the woulda, coulda money you might have made by being a daredevil. SQQQ/Ober – The $49s dropped down to .75 and, if your broker doesn't give you a good price on the roll, then you can just play it as a momentum trade. Had you taken $1 earlier for the $49s, the $47s are now $1.30 so net .30 there or even if you had taken .90 – it still would have worked. Waiting for a spread to fill is very tedious and the MMs will always try to screw you. Plus, you need to realize you are competing with many other, possibly more anxious, traders on the same play. SQQQ/Ober – The low of the day at 11:30 was $1.22 and, at the same time, the $49s were .75 so .47 should certainly have filled in the very least and, don't forget, if you think you can do better than .50 and don't want to pay that much to roll – when in doubt, roll half. If you do end up filling the other half at .40 or better – then your average is down to .45 anyway. Gold/Scott – There simply is not enough gold in the World for it to be used as a currency. It's a fact. Unless gold goes up to $50,000 an ounce – it's not a viable exchange alternative and, if it did – then it would go into guarded vaults where no one would see it (or be able to count it) and we're right back to another form of fiat currency where banks will once again (as they did when on the gold standard) inflate their gold reserves to allow them to print more paper. That kind of BS in the press makes me think maybe we should be shorting this silly spike in gold. AMZN/Ksone – Oct $165 puts at $2.15. DBA/Randers – I liked them 12% ago at $26 – not so much at $29. The 50 dma is $28.39 so you can use $28 as a stop and play the Jan $27/31 bull call spread at $1.90 and sell the 2014 $25 puts for $1.25 for net .65 on the $4 spread that's $1.85 in the money to start you off. Instead of SQQQ how does the Aug TZA 16/20 BCS @ 1.10 looks? or july 16/19 BCS @ 0.97.
what's your premise of going with SQQQ instead of TZA? is it the earning of SP500 companies first? seems like you are planning to hold AAPL calls over the holidays? TRIN remains elevated….they continue to sell into this hot dog market. to support growth in the short term. Happy Independence day to all!! Be safe out there..
AAPL/weekly – just to illustrate the vicious decay of weeklies. Yest I meant to buy weekly 10 600 C yest but missed. So today I switched to 605c and bought at $1.38 at open. I was looking for a close to a double if AAPL got to 600. When AAPL did get to 600 I only had +50%. Time decay of the weekly had eaten the other 50%. So I got out at $1.95. Now the weekly 605c are down to $1.50 (+$0.15 on open), even though APPL has gone +$4 since open. Still, took enough to buy a bag of M80s. AGQ/Pat – We didn't get the big stimulus we were looking for so our premise is blown. If you have a chance to get out even – I'd take it. Without more stimulus, $45 will be a very tough goal to make and I think it's just games doing a roll to a net $1.10 position and waiting for the caller to expire as you'll be down .80 by then as well (1/2 your premium gone in 3 weeks) – so what do you gain? If you don't have the conviction to stay long on silver (I don't) then get out – don't chew off your leg and move on to the next trap. FAS Money/Rkyro – Oh, I thought that was the July call. I'm thrilled its the weekly as we get more rolls but it's the same plan. Add more longs, do a 2x roll to a higher strike if we have to but, for now, it protects us over the holiday. TZA/Pat – Those work too. AAPL often gets jammed down ahead of earnings on some silly rumor or another – that's why I like shorting the Qs up here and 3,000 on the Nas should not be easy to cross. Also, look at all the silly MoMo stocks in the Nas – a couple of bad earnings reports and down they go. LOL Rustle – I think I know that guy! Ease further/Kustomz – Wait until you see the house I'm going to buy with my -1% loan! Wow, looks like we nailed it on the Futures exit – congrats to all on that one! DBA/ tax complication headsup – last year they sent me a K1 (Partnership Schedule) for my taxes. I have no idea why they (DBA ETF, I guess) do that. But my accountant told me he'd kill me if I did that again for $200. Thanks Phil, nailed it on those Futures exits. I know I'm going to have a happy holiday, hope you do too. Wow, look at the 3 year chart on NAK, now there's a pattern you can really call the "Eiffel". Have a great holiday everyone! See ya Thursday. PAYX/Phil – trolling through the porfolios… have some long-held PAYX in kid's accts (cost basis $27 and with DRIP). Thoughts on these guys..? CMCSA and TWC/Phil – both up at highs.. breakout time for cable market or mayhaps something for the long put list? Last week, I mentioned some investor errors investors make, and decided to put together a top 10 list of broad and common mistakes. So far, we have looked at Excess Fees, and Reaching for Yield. Today we are going to ever so briefly look at mistake number three — behavioral issues in investing. (for far more details, see this collection of posts). 3. You Are Your Own Worst Enemy: Your emotional reactions to market events is yet another detriment to your results. Typically described as Fear & Greed, it is more complex than that. But for starters, Fear & Greed does enough damage. Do you get excited about hot new companies? Do you love chatting about stocks at cocktail parties? On the other hand, do your holdings keep you up at night? Are there periods where you cannot bear to even open your monthly statements? These all suggest that you, like most humans, are an emotional investor. This manifests itself in two ways: With heavy buying of equities at the regardless of valuation as excitement builds near the top of the cycle (most public ownership of equities occurs this way); secondly, with panicked selling, typically near major inflection points. You can take steps to protect yourself from, well, yourself. Predetermine your exits and stick with it. Make decisions while objective, before emotional trouble hits.Set up a Mad Money account with a less than 5% of your capital. This will allow you to indulge “your inner Cramer.” If it works out, that’s great — maybe you are thr next Steve Cohen. If it’s a debacle (and the odds are it will be), it’s a terrific lesson that will serve to remind you that trading in and out of stocks like a deranged hedge fund manager is not your forte. Be thankful it wasn’t most of your retirement assets that you lost. Your emotions are often the enemy of your financial well-being. Learn how to keep them in check, or to protect yourself from them, to become a better investor. Our ongoing series of common investor errors continues. We have looked at Excess Fees, Reaching for Yield. and Behavioral Issues. 4. Asset Allocation Matters More than Stock Picking: The decisions you make as to your mix of assets has a far greater impact on your investing success than does your stock picking or market timing. This too has proven repeatedly in both academic studies and the real world. I’ll save you the war story, but when I was on the Sell Side, I was a big Apple fan. When the first iPod came out, the company was trading at $15 (pre-split) with $13 in cash. I recommended Apple, the firm bought a ton at $15, and dumped most of it at $20 for a 33% winner. That was literally the worlds greatest stock — and it hardly mattered at all. The worlds’ greatest stock pickers all got crushed during the 2008 crisis. And a monkey could have thrown a dart at a stock list in 2009 and made a ton of money. Consider this: If your allocation mix contained too little equities over the past few years, then you probably missed the 100% rally since stocks since March 2009. And a lack of bonds meant that during the 2008-09 crash, you had nothing protecting you as markets fell. Stock picking is for fun. Asset allocation is for making money over the long haul. 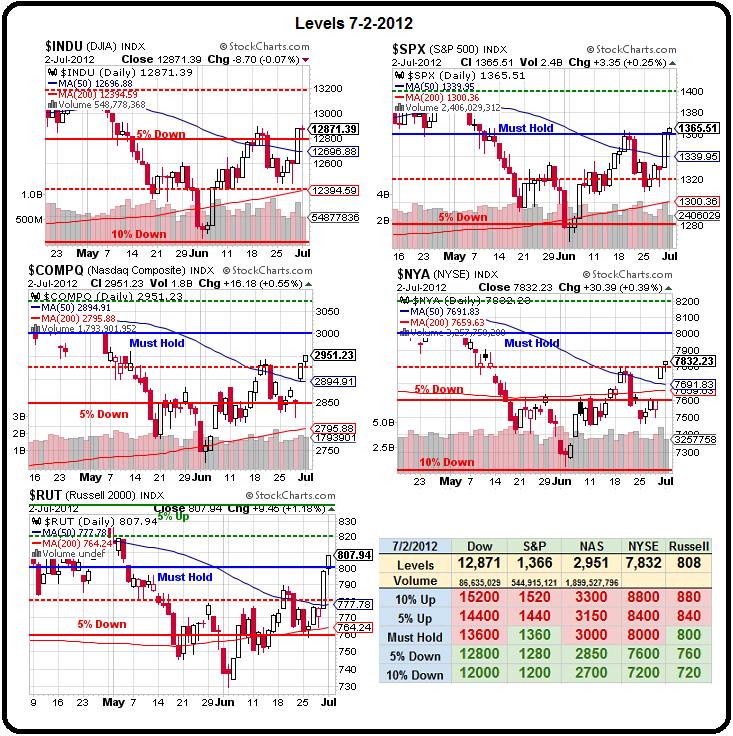 Today – the market is a pleasant Dr. Jekyll today.. Thanks Phil and everyone else. It's been a good week and last week was too. Happy fourth! DBA/Rexx – Now that's a hidden cost! And have a great Holiday to all you sensible, early exiters! I'm out the door at 1 to go buy those steaks before the store gets picked over (I loves my grill!) but I'll be in and out today and tomorrow. NAK/MrM – They are back to a good spot ($2.50) for a LONG-term flyer. We're talking end of decade though, not next year. PAYX/Scott – Does not seem like a good business with no jobs but could benefit from job stimulus. I think that's baked into their move up from $29 though so not too exciting at $31. You were up 20% and you didn't get out – end of story. If you are LONG-term on them, I think that's fine as they also should do well under wage inflation but shame on you if you don't sell calls against a long position to pick up a dividend. CMSCSA/Scott – I loved them when they were $15. At $32 I have no interest. What kind of screener gives you these things? Oh and a big stick into the close. Well, big is relative as we're only up to 49M on the Dow with a minute to go. F/Phil: I like the thought process and the likelihood that the stock will move up b/c of the new Transportation Act clause on pension calculations. I also like the idea of essentially getting long synthetic stock, for 18 months, and doing so for a credit! I also did the August long call trade. Thanks and have a nice Fourth. Tomorrow's my B-Day and I'm sure going to enjoy the day off! That certainly should have filled those SQQQ rolls! Sarkozy / Phil – Not just a distraction. There are plenty of legitimate scandals waiting to unwind and his presidential immunity has now run out. Unlike the US president, the French president is totally immune to prosecution (even criminal) except in treason cases I believe. Thanks, Rexx, my accountants won't threaten me, just overcharge me as usual. It would be cheaper to buy a grain silo than pay those guys. Why not switch to Joe Local Accountant? Because the name brand scared off the IRS a few years ago, who sent me a "no action" letter on a very complicated tax filing. I practiced tax law briefly in another life, and audits are not technical inquiries, they are game theory applied to extortion. Napoleon was pretty clear on the point: most battles go in favor of the heavier divisions. Happy 4th all! Have a good one! Screener/Phil – ha! CMCSA is another LT hold in a low touch acct from long before i discovered PSW… bot at $18, and i see it and TWC are both at highs. Yeah, time to cover it by selling calls i think.. if that VIX would just pop up a bit.. Happy 4th, indeed, y'all. It remains to be seen whether the bigger fireworks displays will be in the U.S., Europe or the Middle East while we're chowing down in the great American tradition. Hi All of you sitting here in good old Germany and watching the days go by. Following as well the market with some plays. But for tomorrow wishing all of you a very happy and pleasant 4th of July! Ags are really running wild…. Happy Fourth to all concerned! you get major props for the " dont chew off you leg and move on to the next trap"
that needs to be carved in stone for the future……. to all happy fourth and tks for your help over the last six weeks. Happy Independence Day to all.. ! Randers: Beautiful boat!! Boy, would I like to sail a carbon fiber scow, although the Great Lakes scare me more than the ocean, when a front blows in and those waves pile up you're in serious trouble [think "Edmund Fitzgerald"]. Yes, I am, and still a member of an east coast yacht club, although I've been away awhile. I started out as a deck ape on big boats, and went smaller with time, the reverse of most people. I raced a Soling, first as crew, then as skipper, great fun because it points so high and has a spade rather than skeg-hung rudder and turns on a dime. Probably the best part was being able to sail against guys like Buddy Melges and Dave Perry, and talk through stuff with them at the bar later — it's not like you get to hang out with Olympic champions if you're a runner or bicyclist! I remember one conversation with Buddy that sounded a lot like Phil. I had plotted the wind oscillations before the race, decided to sail to starboard, and was delighted to see his boat take the same tack at the start — but dismayed to see him bail out almost immediately when headed. I kept on, secure in my prediction, and ended up rounding the windward mark nearly last. Later I asked him why he bailed so quickly, being a world champion of nearly-infinite experience and ability. He told me "because that way, even when I'm wrong, I can round the mark in the middle of the pack, and work my way back up front. If I had kept on, there would have been no recovery." Why do I relate this story? Because it sounds suspiciously like what Phil teaches in trading options — it seems the better at it you are, the quicker you bail when you sense a misstep. I find that quite interesting. AGQ/TZA … Thanks Phil for your words of wisdom as always Happy fourth to all! (former Olympian and Law school graduate) than his teachers. Randers1: That was good luck indeed. Never been on a 12, must be a magnificent feeling. Lived in San Diego, saw them on hoists. Never really forgave Dennis Conner for his rule-beating catamaran "winning is everything" absurdity. I eventually migrated to sailboards in Sprecklesville and Hookipa, Maui, where I bought a house, had more fun than I could imagine for some years, was almost killed against a cliff face on the north coast, and ended up under the knife at Scripps after taking my spine apart. Use it or lose it; worth every second. Fully recovered after a decade of swimming, now I ski and sail cats. Dont tell me that if you were Greece deputy Finance Minister and it was the day the Troika arrives in town you wouldnt come up with abysmal "predictions" like these? %GDP figures are only useful when GDP calculation is acurate. In Greece unfortunately it is not the case…yet. Corruption and underground economy and ineffective taxation enforcement are Greece problems. And it needs to be address now. Only Europe can twist the arms of their gutless politicians or nothing would have changed since they have re-elected the same group of leaders who got them into this mess in the first place. Since they have voted for fiscal discipline, they will get fiscal discipline. Every European countries went through a crisis in 1997 in order to ratify Maastricht. Greece lied its way through in 2001 (with the help of France and Germany – top arms suppliers). So the hard work will have to be done now. And happy I D to all on this board. Not sure what George Michael was singing about in 1998 but it seems to resonate today? "Maybe We Should All Be Prayer for Time"
Watching David Einhorn take 3rd place in the The Big One as an amateur. Amazing. And donating his $4.2mm win to charity. Happy Birthday to Jbur too. BCS/LIBOR hearings on CNBC – good holiday viewing. Sarkozy/StJ – Sounds like a lot of fun in store over there. Heavy/ZZ – Also nepotism helps, good to hire former agents. Hope you are having a nice vacation Yodi. Wow, look at Corn on StJ's chart – that's CRAZY! You can see why I liked silver for an up move but a little slow out of the gate so far. Nat gas facing a big test and oil can run to $100 with little resistance after such a steep decline. S&P charts showing a little overbought but not too much – can still be jacked up another few percent with a bit more stimulus. Sailing/ZZ – Good point one changing tacks sooner rather than later… I think that's why a lot of financial guys like sailing – tides, winds, equipment and a little bit of skill that also depends on the actions of others – not too different than the way we try to get a feel for our own market currents and then make our best move, trying to keep the wind in our sails. Very impressive recovery story. Greek underground/Lionel – I love how they say they can't measure GDP but they always seem to have exact figures on the "underground economy." If they are so sure it's 30% – then just add it to the GDP figure and stop whining about how you can't measure the true GDP. That would then focus the issue on properly taxing the revenues. Maybe they should do that in America too, with our supposed $1Tn+ shadow economy - that'd double Greece's ENTIRE economy. As to corruption and ineffective taxation – US corporations paid just $192Bn in taxes last year – not even 10% of the Government's collections, yet they took in 80% of all revenues and made 60% of the profits. Now THAT's ineffective taxation! This is a World-Wide problem but consider that, in the US, the Average Corporate Tax Rate is 6% (12% of companies declaring profits, the rest pay zero), not even half of the Global Average. Don't believe the above graphic? Check out this report. Also, in case anyone is interested – good day to read well-done SparkNotes commentary on Declaration of Independence (yes, I am that kind of nerd!). This declaration is based on certain truths. All men are meant to be equal and to have certain rights ("unalienable rights") that the government should never take away. These rights include "life, liberty and the pursuit of happiness." Governments exist to support the rights of men. Governments exist only through the power of the people that they represent. When a government fails to grant rights to the people and removes the involvement of the people, the people have the right to change their government in a way that will allow for their unalienable rights to be protected. Governments should not be overthrown for trivial reasons; it is not typical for people to change a system that they are accustomed to. However, when the people have suffered many abuses under the control of a totalitarian leader, they not only have the right but the duty to overthrow that government. The Declaration of Independence is important because it inspired many revolutionary efforts throughout the world and contributed to Americans' understanding of their values as a new nation. The introduction, called the preamble, to the Declaration of Independence is especially important because it builds connections between philosophical theory and practical politics, expresses the fundamental values of the new American government, and also appeals to other nations to accept the new nation. The introduction relies heavily on the philosophical and political ideas of the Enlightenment period of 18th century Europe, including the ideas of Thomas Hobbes, Jean Jacques Rousseau, and, most particularly, John Locke. Locke believed that humans, by nature, had the right to protection of life, health, liberty and possessions. Jefferson altered this slightly when he claims the unalienable rights include "life, liberty and the pursuit of happiness." Locke also strongly opposed the divine right of kings--which held that kings held absolute power because they were placed on their throne by God--and insisted that the people had the right to consent to their government and that the power of law making resides with the people. Jefferson included this theory when he writes "to secure these rights, governments are instituted among men deriving their just powers from the consent of the governed." Jefferson's declaration helped to put Locke's philosophies into the realm of real-world politics. Many revolutions that occurred after the American Revolution cited Jefferson's Declaration of Independence as justification in overthrowing a corrupt and dictatorial power. "The Higgs traces back to 1964, when several physicists independently dreamed up the idea of an energy field that would have permeated the early universe (and persisted to the present). “In all honesty we were trying to solve a more modest problem,” said theorist Carl Hagen of the University of Rochester in New York. In certain theoretical calculations, particles with zero mass kept inconveniently popping up: In trying to get rid of those particles, Higgs, Hagen and others realized that once the universe cooled enough from its initial Big Bang, this energy field would have had to emerge. Like a puddle of molasses, the field resists the motion of particles moving through it. Such resistance to motion, or inertia, is the defining quality of mass. Subatomic particles therefore acquire differing amounts of mass depending on how strongly they interact with the energy field." This field more or less describes my brain trying to learn option trading, I've realized with a certain dismay. Phil/dogma – While I'm fairly good at influencing people, I've never had much luck questioning dogma with family members, with either my father or my sons. Fortunately my wife and I already agree on most things. "I'm rather bullish on these guys. I know of them for their mitochondrial drug (it targets the energy production in cancer cell mitochondria), but their lead compound looks very interesting as well. HSP90 inhibitors don't have a good toxicity history, but the Synta drug has a completely novel structure and they claim is a lot less toxic, and it seems to have strong efficacy. Their recent dip doesn't seem to be due to any actual clinical failures, just due to their not releasing interim statistical data on the toxicity profile. Assuming they aren't holding back any bad news it looks like an undervalued stock. Their infrastructure is very solid (lots of in-house capabilities) and they have a decent pipeline of clinical studies underway (with independent sponsorship of some of them by a leading cancer research hospital, which is usually a good sign). Their mitochondrial drug has a very compelling mechanism of action, and assuming it can be delivered selectively to cancer cells, it could be a real gamechanger in certain types of cancer (although it targets cancer cells in normoxic environments, which is the minority of tumor types – most are hypoxic – so it isn't likely to be a blockbuster)." Oops. I meant SNTA. July 4th brain fart. Is your brother one of those "staunch Republicans"? Must make for interesting family gatherings? He sounds like a great guy. Happy 4th. 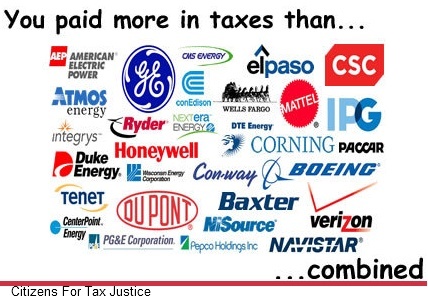 I agree that US Corporations are left off the tax hook but I can t see the link with tax avoidance in Greece. I know just too many well off Greeks who have never paid income tax in their whole life and do officially own properties with registered mortgages! I won't even go into luxury cars and boats…on no income! How is that possible in a so called Euro country? And it will take much more than voting new taxation bills to collect the money. Greece needs a new Tax Office, new administrative tribunals…a fully reformed tax collection system. Krastings says Euro devaluation of 20%++ is only policy option left. Looks like we didn't miss much as the Futures are flat to where we left them on Tuesday. Dollar a bit stronger without tanking the market is a good thing if it holds up but lots of data coming up today. Oil nice and high at $88.25 but should max out on run into inventories and then I'll like a short. Half day for me today as I'm off for Vegas at 1pm. Euro down a full point from Tues morning, back to $1.25 and Pound $1.5571. Yen bouncing off 79.50 (too strong) and Swiss are in overdrive, trying to hold the Euro at $1.25 with EUR/CHF spiking to $1.2017. We're waiting on ECB rate cut expected around 8am so sloppy trading until then. 2:20 AM Asian markets trend lower ahead of European rate decisions and a Spanish debt sale. Japan -0.3% to 9079. Hong Kong flat at 19712. China -1.2% to 2201. India +0.1% to 17476. Which is real? 2:25 AM China's Beige Book, a new private survey of around 2,000 executives and bankers, shows retail sales and manufacturing strengthened last quarter, property sales increased, and 80% of retailers expect higher sales in six months, suggesting an economic pick-up not fully captured in China's official statistics. The HSBC China Services PMI drops to a 3-month low of 50.6 in June from 51.9 in May as conditions point to declining new business orders and a softening job market. A long but interesting piece by Michael Pettis on how to achieve real financial reform in China. 4:08 AM China could be preparing for a fresh round of policy easing, analysts say, with Chinese authorities said to be considering cuts to the reserve requirement ratio. 4:10 AM South Korea may cut its benchmark rate next week, according to Credit Suisse, after recent data showed consumer inflation had cooled and after Gov. Kim Choong Soo said last month consideration had been given to measures that could help the economy. 6:00 AM Overseas: Japan -0.3%. Hong Kong +0.5%. China -1.2%. India +0.4%. London +0.3%. Paris -0.1%. Frankfurt +0.%. The ECB is widely expected to cut its benchmark rate by 25 bps to a record-low 0.75% today, though it's unclear where the bank goes from there. Stay tuned for the announcement at 7:45am ET and Draghi's press conference at 8:30am ET. Euro flat against the dollar at 1.2527. 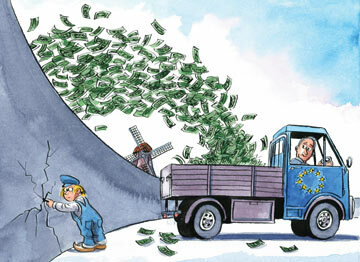 Is the eurozone crisis finally easing? S&P thinks it might be, pointing to the stabilizing agreements that came out of the June 29 summit. There is significant implementation risk but the measures "can provide a more stable funding framework" while governments work to "implement growth-enhancing structural reforms and reduce their budgetary imbalances." Spain sells €3B ($3.8B) of 3-, 5- and 10-year debt, achieving the top-end of its target range but again experiencing a rise in borrowing costs. The average yield on the 10-year bond increased to 6.43% from 6.04% in an auction in June. In the secondary market, yields are +14 bps to 6.55%. Some eurozone officials admit it may have been overambitious to set an end-of-year deadline for creating a new eurozone banking supervisor. Even under the best of circumstances, getting the overseer up and running could take 9-12 months. The ECB tightened its lending conditions yesterday, capping at current levels the amount of government-guaranteed debt that banks can post as collateral in return for its loans. Case-by-case exceptions will be made to banks presenting "an acceptable funding plan." The tightening could be a taste of things to come as the ECB takes on a more active regulatory role. Bank shareholders have no idea what kind of liability they're facing from the Libor probe. Barclays, for example, dropped 16% the day after being blindsided by a $451.4M regulatory fine. More than a dozen banks are being probed, are providing minimal disclosures and are probably failing to put enough funds in reserve for potential fines. The Libor scandal isn't Barclays-specific or even U.K.-specific, says EU Competition Commissioner Joaquin Almunia, and the rate-fixing accusations will likely involve banks in several countries. Yesterday, more than a dozen banks (including C, BAC, UBS) asked a U.S. judge to throw out Libor antitrust suits. Moody's lowers Barclays (BCS) standalone outlook to negative from stable, as shareholder and political pressure could push Barclays' away from I-banking. It's also no small feat to replace three senior execs, and will be especially hard to find a CEO with I-banking expertise and the credibility to swiftly address the Libor scandal. 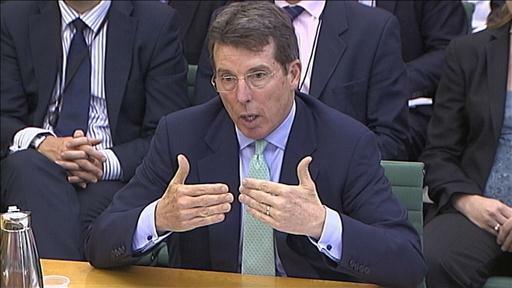 From Bob Diamond's testimony to U.K. lawmakers: Apologizes for BCS's "reprehensible" behavior; says the conduct waslimited to 14 traders out of 2,000 employed; feared the bank would be nationalized in 2008 because of high funding costs; did not believe he got tacit permission BoE's Paul Tucker to lower rates; only found out about the Libor accusations "this month." Bob Diamond's banking career may be over, but that doesn't mean he'll be slinking quietly into his retirement years. He's likely to be a highly sought-after candidate at P-E firms and hedge funds. He might be toxic to a publicly-traded firm but he's got the money and the experience to thrive at a less-regulated private company. The Reserve Bank of India has spent billions of dollars trying to support the rupee, but it's still Asia's weakest-performing currencyagainst the dollar over the past year (-19%). The rupee's decline is partly because of capital flight from emerging markets, but has been exacerbated by concerns over India's deteriorating financial health. Brazil plans to continue cutting rates in 50 bps increments as the economy recovers more slowly than expected, according to a government source familiar with the matter. The eurozone crisis, though somewhat stabilized, and the U.S. fiscal situation are hurting investor and consumer confidence in Brazil, said the official. Corn and wheat may be trading near ten-month highs, butfarmers are hardly profiting. With razor-thin margins and food crops priced well-below the cost of production, many growers are quitting. From the U.S. to Australia, from beef to vegetables, farmers globally are facing the same crunch. Virgin Australia orders 23 Boeing (BA) 737 MAX 8 planes in a deal worth $2.19B at list prices. Volkswagen agrees to buy the 50.1% stake in Porsche it doesn't already own for €4.46B ($5.6B), ending a seven-year takeover saga. Carlyle (CG) acquires 49% of mid-market Chinese hotel chain Mandarin Hotel Holdings for an undisclosed sum. Manchester United files for an IPO of $100M on the NYSE after abandoning plans to float in Asia, where its supporter base is much higher. The British soccer club will use the proceeds to pay off its debt, which was £423.3M ($663.67M) at the end of Q1. Similarly to Mark Zuckerburg and Facebook, United's American owners, the Glazer family, will retain 67% of the voting control via their class B shares. Best Buy (BBY) is testing a new turnaround strategy, turning some of its cavernous stores into sleek, Apple-inspired retail outlets in hopes of boosting sales. Skeptics worry the makeover doesn't do enough to dissuade shoppers from browsing in the stores and then buying products online from cheaper e-tailers. RIM (RIMM) is under pressure from mobile phone companies, including AT&T (T) and Verizon Wireless (VZ, VOD), tocut carrier fees. It's a real pain point for RIM, as the fees generate $4.1B annually and account for more than a third of the BlackBerry maker's revenue. Analysts say that figure could drop to $2.8B in FY'14. HTC phones don't infringe on four Apple (AAPL) patents related to touchscreen technology, and three of those Apple patents are invalid, according to U.K. Judge Christopher Floyd. The patents in the case were: slide-to-unlock feature, tools to scroll through photographs and change alphabets, and functionality to touch the screen in two spots simultaneously. It's not an insignificant defeat for Apple. Apple (AAPL) is reportedly planning to roll out a smaller, cheaper iPad by the end of the year, with a screen that's 7-8 inches diagonally vs. the current 9.7 inch version. Apparently Apple's at least a little bit worried about the Nexus 7 (GOOG) and Surface (MSFT). 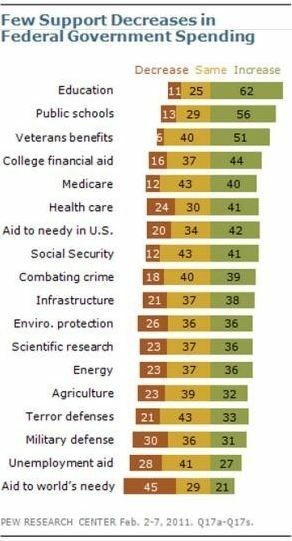 Nearly 70% of Americans say cutting the deficit is an important goal for 2012, with 84% Republicans, 66% Democrats, and 64% Independents rating it as their top priority. I don't know why, but I founnd this just to be the funniest thing. This catastrophe in San Diego may have profound effects on the Global Markets – I will have to immediately (and tax deductably) head out there to check out the situation first hand – I shall report back to you (confirming the business nature of my trip) as soon as I get there to let you know if San Diego has suffered lasting damage from this firework catastrophe! Good Morning Everyone – I'm the new rookie, new to options, traded stocks reasonably well for the past 3 years. Busy reading Phil's favs and other info , learning plenty and getting up to speed. Thanks to Phil and his team for all your great insights. The global central bank market propping continues with the ECB following in the footsteps of the BOE and PBOC, and cutting its benchmark rate by 25 bps to 0.75%, and the deposit rate to 0%. EURUSD slides. In other news, today the BOE, PBOC and now ECB have all eased…. and ES is up a whopping 0.2%. Houston: we have a problem. "…Former Barclays chief Robert Diamond was assailed by British lawmakers .."
wow, he was assailed…what a horror. But did they DO anything to him?? Last I looked, being assailed did nothing to reduce your current and long term assets, your overall wealth and health, nor did being 'assailed' equal water torture. Being 'assailed' isn't even as punitive as being told to go stand in the corner. Way to go, Parliament. You go ahead and assail 'im. We stand in awe of your rule. Welcome Rookie! Just so you know, comments move to new post once it goes up (now) – see you there! Markets don't know what to make of ECB decision – up, down, up, down and now up again (but only 0.25%). Gold doesn't like it so someone expected more than what they did but they did enough to weaken the Euro and send the Dollar up to 82.72 – that can get ugly if we go over 83 (and makes it a great time to short oil!). Diamond/Flips – I think this morning's cartoon says it all about him. ….and Coronado is the best place to assess the damage….